Chicago’s beloved Blackhawks are at it again this year in the race for the Stanley Cup. Using speed, skill and the motivation from Chicago’s die-hard sports fans, the Hawks are ready for another victorious playoff season. While the Chicago Blackhawks prep for Game 2 in the series vs. Tampa Bay, fans are looking for a place to cheer on our team to the end. Nothing says good food, good people and good specials better than Gino’s East. 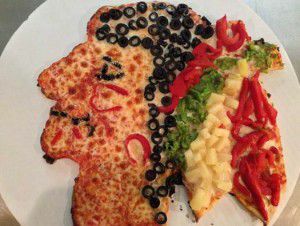 Chicago fans across Illinois, and now Texas, can enjoy appetizers, refreshing drinks and deep dish pizza while the game plays live– the second best thing to center ice seats. 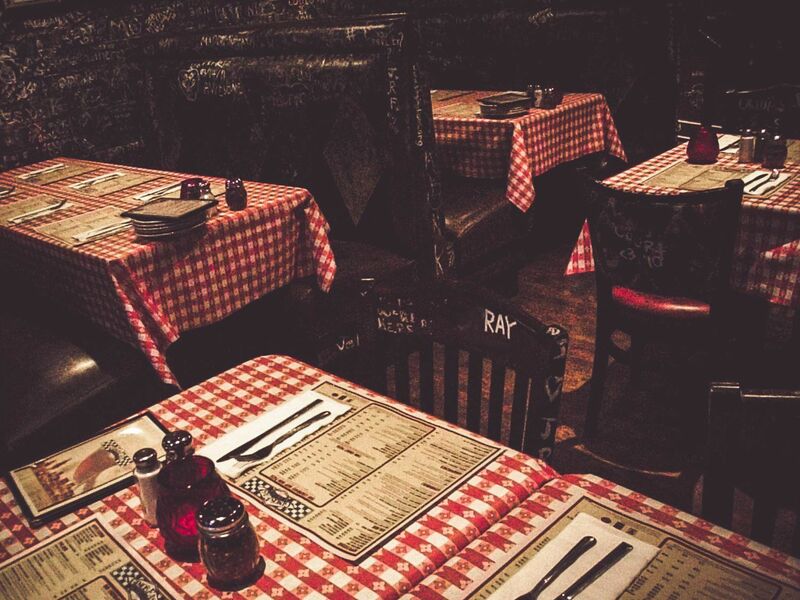 Grab your closest friends and meet us at Gino’s East for a true Chicago experience. If you’re wondering which Gino’s East location to catch the game, that’s where we come in.  Find the location that fits you best below, and we’ll look forward to seeing you soon! Stop by Gino’s East River North to sample some of the latest brews from Gino’s Brewing Co. Try a pint of each of our four house brews, or opt for a smaller taste with our sample flight. Either way, you won’t be disappointed with our beer selection as you watch the race to the Cup. Have a large group? Not to worry. Gino’s East River North offers party packages for 15 guests or more. Call us for more information. If you want to watch your team take down Tampa Bay surrounded by fans and deep dish pizza, Gino’s East South Loop is the spot for you. Located just around the corner from the Art Institute Lions (sporting Hawks helmets), our sporty atmosphere and flat screen televisions make this Gino’s East the perfect place to catch the game with friends and family. Just touched down in Chicago and don’t want to miss a second of the game? Stop in at our O’Hare Plaza location before the puck drops. Surround yourself with our famous Chicago “Sportraits” on our Chicago Sports Wall of Fame. Don’t forget to snag a photo next to Bobby Hull and Stan Mikita! Rumor has it, our O’Hare Plaza kitchen staff is having some fun with the pizzas (not for sale). If you live in Texas and find yourself far from your favorite Chicago hangouts, have no fear. Our locations in The Woodlands, San Antonio and Willowbrook will make you feel like you’re at home in the heart of Texas. Sample some of our Texas-style deep dish and surround yourself with other Chicago Blackhawks fans to make this Stanley Cup Playoff one to remember.